Clerk-Talati Panchayat Recruitment Examination After Lok Sabha Election: More than 30 lakh applications have been received. 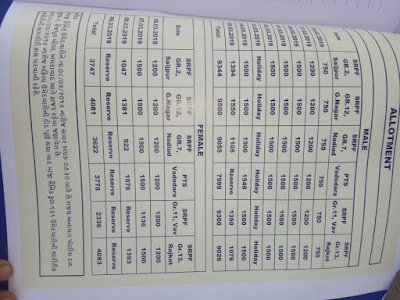 The Panchayat Selection Board under the Panchayat section of the State, provides information related to the recruitment of panchayat talati and old-age clerks in the Kannidae lake by 6 months prior to the District Committees. There are more than 30 lakh applications for about 3,000 positions. At that time the calculation of the system was to be completed by January but Akila was delayed for one reason because of Kanidai Lakki. Now there are current circumstances which will be held in the middle of 2019, after the Lok Sabha elections. According to government sources Kannidai Lakki, every candidate was allowed to apply in more than one district in both cadres, which has made the number of applications much bigger. All Kannidae Lakhya districts have to take the examination at the same time on one day and apply for any district, but the examination can be given at one place. It is necessary for the system to arrange on as many places as requested by Kanidai Lakshya. While there was a solution to the question raised by duplication, only 10% of the economic reserves have raised another issue for the test taker system, which is applicable to the Kannidae Lakshya Parishad. In addition to this, the government has decided to provide relaxation to the non-resident section of the legislation a few days earlier. What can be done for young people who have had the opportunity to apply for reapplying after the reappointment of the youth who have completed the age at the time of applying for the application? For this, the board has asked for guidance from the panchayat department. Examination of examinations due to relaxation in age limit and 10% economic reserve has stopped. Alternatives are open, including canceling all old requests and inviting renewal applications. Under the guidance of the government, the Panchayat Service Selection Board and the District Committees will take further action. The government is still not giving any guidance on this matter. The Code of Conduct for the Lok Sabha elections will be applicable only on the day of computation. The elections are due in April-May. There is no circumstance to be held before this election. There is consolation for the candidates who have got more time to prepare for delays in written exams. The district has been allocated to the candidates who have been taken before the cadre examination in the direct area of ​​the panchayat service selection board. The process at the district level is going on for appointment. the United India Insurance Company Ltd, and the National Insurance Company Ltd. General Insurance Corporation of India on January first, 1973. These insurance agencies began the Mediclaim Health Policy for different government segment organizations in 1986. The process of opening up the health insurance sector was initiated by private insurance companies against the background of Economic Reform process in 1991.
reserve bank of governer RN malhotra recommended to regulate the insurence sector in india The Insurance Regulatory Development Act was passed in 1999 and the Insurance Regulatory Development Authority was framed to control the protection exercises in India. 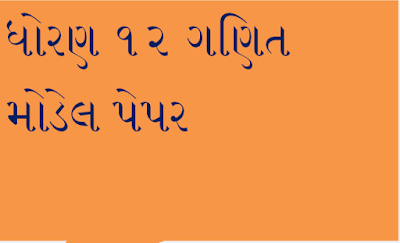 Tag Lines::::: maru Gujarat, maru Gujarat result, maru Gujarat old Question paper, ojas,ojas.gujarat.gov.in,Ojas New Job, Gpsc, Gpsc New Job, Gpsc Question Paper, cbseresults nic in, digital Gujarat,Samachar, Eduational Samachar, gsrtc, govt jobs 2019, gujarat high court,Hc Ojas, www gseb org, www marugujarat in, ojas call letter, ojas gpsc, ojas maru Gujarat, gseb hsc result 2019, gseb ssc result 2019, maru gujarat result, call letter, ccc gtu ac in,Tat Result 2019,Tat Secondary Result,Seb Exam,Nmms Exam, Nmms Old Question paper,Seb Result,Tet EXam Question paper,Tat Question paper,Tet Cutt of merit, Tat Cutt of merit List,Maru Gujarat cut of merit,Lrb Result,Lrb cut of merit list,gpsc cut of merit,Gpsc Result,ccc result,Primary school paripatr,Primary school Online Entry,Online hajari link,online mark entry link, ojas call letter download, appost,clerk old paper,maru Gujarat paper solution,maru Gujarat question paper,aapnu guajrat result,aapnu Gujarat question paper,aapnu Gujarat hiteshpatelmodasa,kj parmar,kj parmar paripatro download,rrb group D result,Railway Group D result,rrb result date, Digital Guajat,Digital India, Digital Guajrat Scholarship. RPF SUB INSPECTOR Result 2019 – Railway Protection Force has announced RPF Constable Result 2018-2019 merit and scorecard for Group E. The result has been announced online, constable.rpfonlinereg.org. In Group E, a total of 2084 candidates have qualified. RPF Constable 2018 result is available as merit list, in which roll number and names of qualified candidates are mentioned. Selected candidates will now appear for , for Physical Efficiency Test (PET)/ Physical Measurement Test (PMT). Check more details on RPF Constable Result 2018 from this page. guys let's talk about health insurence today, it is the most important thing for middle class families because out environment getting polluted day by day and because of increasing of humans accidents are also increasing, so we have to meet doctors regularly middle class families can't afford doctor's bills regularly so there is a good service for them named health insurance insurence companies pays most of amount of all our medical bills in return we have to pay a fixed amount to them yearly now let's talk about the evolution of the health insurence, the oriental insurence company has started insurence in 1818 after a year bombay mutual life assurence society has also started insurence for Indians An insurance act introduced health insurance in 1912. 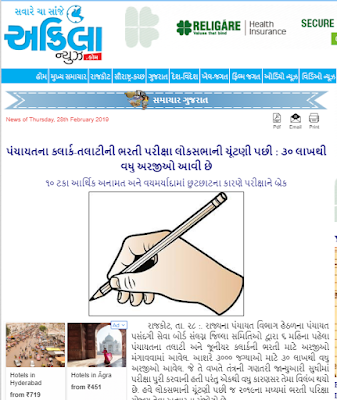 Gujarat Information Department published weekly Employment News in Gujarati with name “Gujarat Rojgar Samachar” on every Wednesday. Download pdf file or read online current Edition from given below link. must share with all friends. 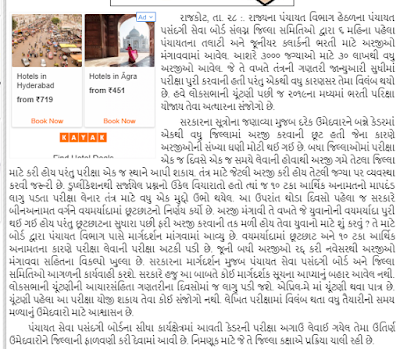 Friends ,this is very popular educational website in Gujarat. 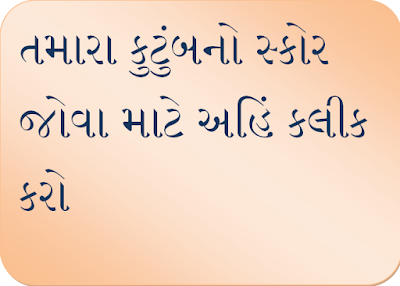 We Published daily educational news, New jobs, CCC, Results, Call Letters, Jobs in Gujarat, Bank jobs in Gujarat,Bank Jobs in India, GK ,GK Gujarat, Current Affairs, Daily Current Affairs, Latest Study Materials Usefull Application in our site…We Published daily educational news, New jobs, CCC, Results, Call Letters, Jobs in Gujarat, Bank jobs in Gujarat,Bank Jobs in India, GK ,GK Gujarat, Current Affairs, Daily Current Affairs, Latest Study Materials Usefull Application in our site…this is very popular educational website in Gujarat. Certificate from a recognised Industrial Training Institute (lTI). will be issued for the examination only to those candidates who have successfully paid the examination fee or who are entitled to waiver of examination fee. Academically, this might be just another baseless T20I bilateral series, but with the World Cup looming, there is no missing Both India and Australia head to Visakhapatnam with an eye on how they will eventually head to England. 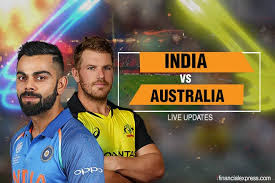 While India has more or less settled on the team, they believe can take the trophies from Australia, the defending champions are still casting fishing rods hoping to find themselves the catches that their team's quality take some notches by. It may not be the right format, with the World Cup in mind, but it gives the team another chance to fine tune their set up. Kohli admitted that he had better served if the Vizag and Bengaluru T20s were ODIs instead. But he also added that the T20s will help him fall and batting skills atleast. With the IPL coming up too, there will not be any reason for their players to use their format to hone said skills, but as Kohli pointed out, it could lead to 'bad habits' as well, something players are very careful. What to expect: Hot conditions with little chance of rain and a pitch with runs in it. The Gujarat Secondary and Higher Secondary Education Board conduct exams for 12th and 10th Standard. Every year the exam is held in the month of March and to score good marks in the GSEB HSC exam, one must solve the Class 12 GSEB Question Papers. Solving the previous year question papers will give you an idea of the types of questions asked. It is advised to try solving the last 5 years GSEB HSC Board Papers Science within the assigned time. Because it will help them to solve all the questions within the time limit during their actual board examination. One should check their own answer sheet after solving these previous year question papers because doing this will help them to analyze the current progress of their ongoing studies. 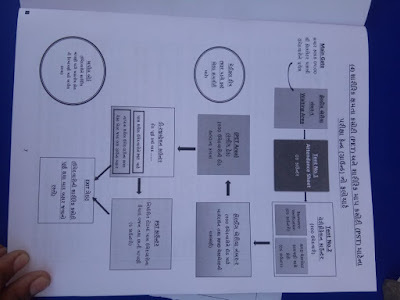 Gujarat Secondary and Higher Secondary Education Board (GS & HSEB) Gandhinagar Responsible for the conduct 12th class Annual Final Arts, Science, Commerce Examination Starting Date 7th March 2019 End of Examination Date 22 March 2019 2019, Students Download Gujarat Board 12th Model Paper 2019 at Official Website Only, main Responsibilities of the Board include Academics, Conducting Examinations and Research and Development. The board is Responsible for Registration and Administration of Higher Secondary and Secondary Schools in the State of Gujarat. Examination Date GSEB conducts Higher Secondary (School) Certificate (HSC) Examination for Standard XI-XII students in Gujarat. The Government of Gujarat, having realised the importance of the all-inclusive rural development, has been constantly endeavoring to make rural life better. While it continues to do so, it has achieved fantastic results because of this sustained effort. The basis of Gujarat model of development is 'People's Participation', as it reflects in its pledge of 'Collective Efforts and Inclusive Growth'. The Rural Development stories emanating out of Gujarat show how the State Government has enabled people to uplift their livelihoods through this model. Gujarat has effectively utilized the funding from Mahatma Gandhi National Rural Employment Guarantee Scheme (MGNREGS), a momentous initiative towards pro-poor growth, to create sustainable and productive assets and in turn helped boosting the rural economy, protecting the environment, empowering rural women, reducing rural urban migration and fostering social equity among others. 'Mission Mangalam' is an award-winning venture aimed at poverty elimination and women empowerment. It aims at uplifting women belonging to the poor families by giving them enough support to enable them to utilize their skills and improve their conditions. The programme is implemented by Gujarat Livelihood Promotion Company. Much of the area of this state remains arid with saline water which is unusable for the agricultural purpose. This area depends mainly on seasonal rain-water. Thus, to effectively manage and conserve rain-water, Watershed Management Programme was incorporated. It aims at promoting agriculture by eliminating the scarcity of water resource and in turn create employment opportunities for the rural families. The 'master plan' was created for a surgical strike on the grounds of Jaysh, Kahaa from beginning to end. Air Force and Army did air services. The heroes around the LoC find the help of heroin drones. Where are the whereabouts of terrorists? Presentation against NSA Ajit Dobhal was given to where to strike. Strike missions were arranged with complete preparation. More than 1000 kilograms of bombs were dropped from 12 mid-air aircraft in 10 minutes between 3.20 and 3.30 in the night. Indian Air Force LoC StrikesLive Updates: Sources say that the strikes were "100 per cent successful" and went on exactly as planned. 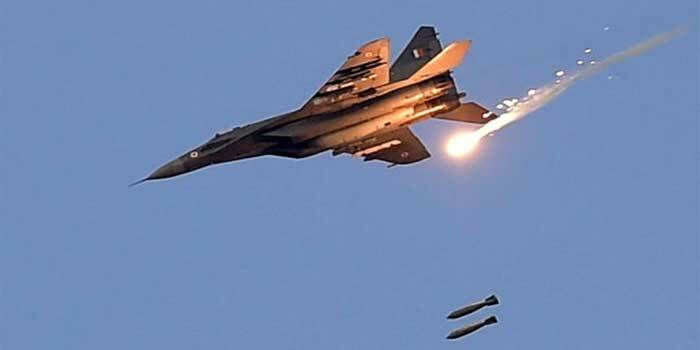 The Indian Air Force carried out strikes on a terrorist camp across the Line of Control (LoC), according to reports. The strikes were carried out around 3:30 this morning, news agency ANI said, quoting sources. The aircraft dropped 1,000 kg laser-guided bombs on a major terror camp across the Line of Control (LoC), completely destroying it, news agency ANI reported, quoting Air Force sources. India's operation comes two week after the terror attack in Pulwama in which over 40 soldiers of the Central Reserve Police Force (CRPF) were killed when a suicide bomber of the Pakistan-based Jaish-e-Mohammed exploded a car full of bombs next to a security convoy. The Jaish-e-Mohammed had claimed responsibility for the February 14 attack and had also posted videos of the bomber, who had joined the terror group a year ago. On September 29, 2016, the army had carried out surgical strikes on seven terrorist launch pads across the Line of Control (LoC) in retaliation to an attack on its base in Jammu and Kashmir's Uri earlier that month. Prime Minister Narendra Modi is meeting with top ministers in the cabinet committee on security at his home in Delhi to take stock of the situation. External Affairs Minister Sushma Swaraj, Finance Minister Arun Jaitley, Union Home Minister Rajnath Singh, Minister of Defence Nirmala Sitharaman, National Security Advisor Ajit Doval and other top officials of the government are attending the meeting. Indian Air Force has put on high alert all air defence systems along the International Border and Line of Control, reports news agency ANI. "I salute the bravery of Indian Air Force pilots who have made us proud..." tweets New Delhi chief minister Arvind Kejriwal, amid reports that India carried out strikes across the Line of Control. 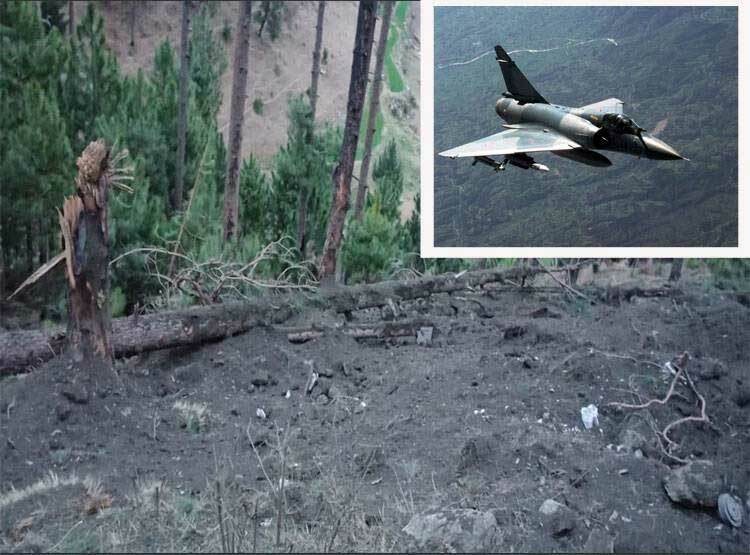 Balakot, Chakothi and Muzaffarabad terror launch pads across the LoC have been completely destroyed in the Indian Air Force strikes, news agency ANI reported, quoting sources. Jaish-e-Mohammed control rooms also destroyed, the ANI report said. 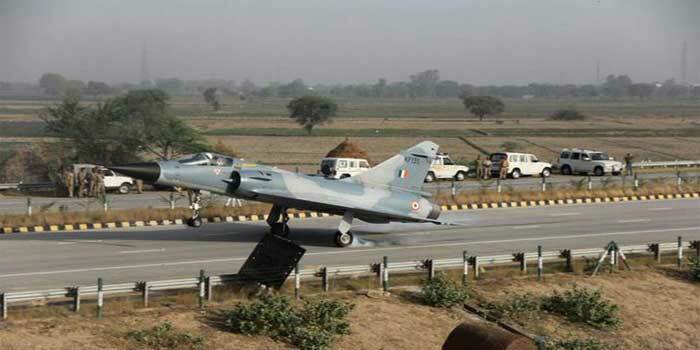 Sources tell NDTV that the strikes were "100 per cent successful" and went on exactly as planned. Jammu and Kashmir National Conference chief Omar Abdullah says if it is true, this was not a small strike by any stretch of imagination. Wow, if this is true this was not a small strike by any stretch of imagination but will wait for official word, should any be forthcoming. Jammu and Kashmir National Conference chief Omar Abdullah says: "The problem now becomes PM Imran Khan's commitment to his country - "Pakistan will not think about responding, Pakistan WILL respond". What shape will response take? Where will response be? Will India have to respond to Pakistan's response?" The strike comes amid heightened tension between India and Pakistan after the February 14 terror attack by Pakistan-based Jaish-e-Mohammad that killed 40 CRPF soldiers in Jammu and Kashmir's Pulwama district. 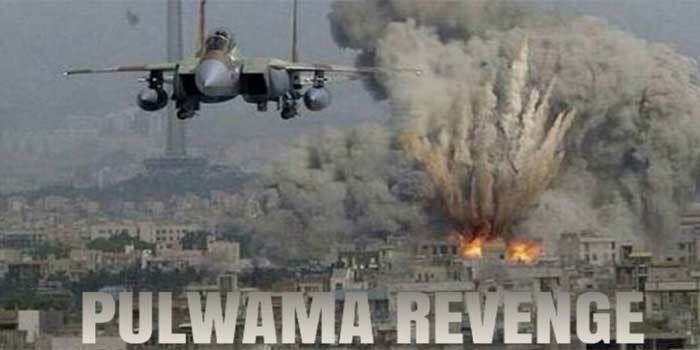 Surgical Strikes 2.0 LIVE Updates: Days after Pulwama attack, India on Tuesday carried out surgical strikes in Pakistan with top government sources saying that there were over 200 casualties from IAF strike. Reports say that terror launch pads across the LoC in Balakot, Chakothi and Muzaffarabad sectors have completely been destroyed along with JeM control rooms. While officials in the air force refused to comment, saying that they have nothing to reply, sources told CNN-News18 that the force was targeting a Jaish-e-Mohammed (JeM) hideout in Balakot sector with laser-guided bombs. Search Common Service Center in India- Common Service Centers have been opened in India by central government at block level. You can locate your nearest Common Service Center in your locality. Choose your State from below Dropdown to Search List of Common Service Centers in State. About CSC- Various services have been provided by CSC in India. You can visit your nearest CSC for any service like Aadhar Card Registration, Aadhar Enrollment, E-Aadhar Letter Download & Print, various insurance services, Passport, LIC, E-Nagrik & E- District Services like Birth & Death Certificate. The other services also may be provided like Ration Card Application Form, Pension, NIOS Registration, PAN Card etc. at your Local CSC Center. Government to consumers:- here we can provide a list of services which are provided by a government to their citizens. You need to check all services needed at the time of the at CSC center. The CSC center can play a vital role in citizen’s life so they can easily apply all type of services in one place. You need to take a look here with its name. Common Service Centres are physical facilities for delivering Government of India e-Services to rural and remote locations where availability of computers and Internet was negligible or mostly absent. They are multiple-services-single-point model for providing facilities for multiple transactions at a single geographical location. PMSYM : Pradhan mantri Shram Yogi Man Dhan Yojna Pension. 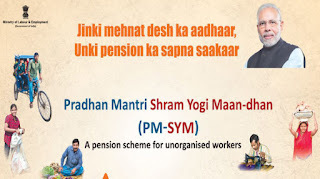 Government of India has introduced a pension scheme for unorganised workers namely Pradhan Mantri Shram Yogi Maan-dhan (PM-SYM) to ensure old age protection for Unorganised Workers. The unorganised workers mostly engaged as home based workers, street vendors, mid-day meal workers, head loaders, brick kiln workers, cobblers, rag pickers, domestic workers, washer men, rickshaw pullers, landless labourers, own account workers, agricultural workers, construction workers, beedi workers, handloom workers, leather workers, audio- visual workers and similar other occupations whose monthly income is Rs 15,000/ per month or less and belong to the entry age group of 18-40 years. They should not be covered under New Pension Scheme (NPS), Employees’ State Insurance Corporation (ESIC) scheme or Employees’ Provident Fund Organisation (EPFO). Further, he/she should not be an income tax payer. (i) Minimum Assured Pension: Each subscriber under the PM-SYM, shall receive minimum assured pension of Rs 3000/- per month after attaining the age of 60 years. (ii) Family Pension: During the receipt of pension, if the subscriber dies, the spouse of the beneficiary shall be entitled to receive 50% of the pension received by the beneficiary as family pension. Family pension is applicable only to spouse. (iii) &nbps; &&nbps;If a beneficiary has given regular contribution and died due to any cause (before age of 60 years), his/her spouse will be entitled to join and continue the scheme subsequently by payment of regular contribution or exit the scheme as per provisions of exit and withdrawal. 4. 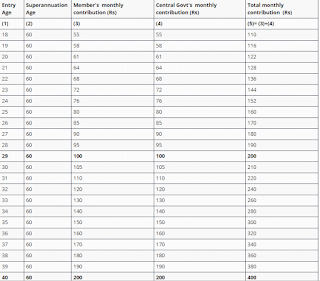 Matching contribution by the Central Government: PM-SYM is a voluntary and contributory pension scheme on a 50:50 basis where prescribed age-specific contribution shall be made by the beneficiary and the matching contribution by the Central Government as per the chart. For example, if a person enters the scheme at an age of 29 years, he is required to contribute Rs 100/ - per month till the age of 60 years an equal amount of Rs 100/- will be contributed by the Central Government. 5. Enrolment Process under PM-SYM: The subscriber will be required to have a mobile phone, savings bank account and Aadhaar number. The eligible subscriber may visit the nearest Common Services Centres (CSC eGovernance Services India Limited (CSC SPV)) and get enrolled for PM-SYM using Aadhaar number and savings bank account/ Jan-Dhan account number on self-certification basis. 6. Enrollment agencies: The enrolment will be carried out by all the Common Services Centres. The unorganised workers may visit their nearest CSC along with their Aadhar Card and Savings Bank account passbook/Jandhan account and get registered themselves for the Scheme. Contribution amount for the first month shall be paid in cash for which they will be provided with a receipt. 7. Facilitation Centres: All the branch offices of LIC, the offices of ESIC/EPFO and all Labour offices of Central and State Governments will facilitate the unorganised workers about the Scheme, its benefits and the procedure to be followed, at their respective centers. 2. Each desk may consist of at least one staff. 3. They will have backdrop, standi at the main gate and sufficient number of brochures printed in Hindi and regional languages to be provided to the unorganised workers. 4. Unorganised workers will visit these centres with Aadhaar Card, Savings bank account/Jandhan account and mobile phone. 5. Help desk will have onsite suitable sitting and other necessary facilities for these workers. 6. Any other measures intended to facilitate the unorganised workers about the Scheme, in their respective centers. 8.Fund Management: PM-SYM will be a Central Sector Scheme administered by the Ministry of Labour and Employment and implemented through Life Insurance Corporation of India and CSC eGovernance Services India Limited (CSC SPV). LIC will be the Pension Fund Manager and responsible for Pension pay out. The amount collected under PM-SYM pension scheme shall be invested as per the investment pattern specified by Government of India. As of now, the applicant may visit the nearest CSC (Common Services Center) and submit the required details to get enrolled. VLE will register the beneficiary electronically on the system. 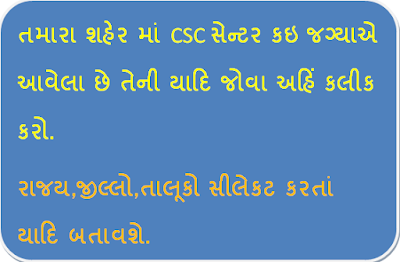 A beneficiary has to pay 1st instalment in cash to CSC. Now Shram Yogi Pension Number will be generated. VLE will print & handover the Shram Yogi card to the beneficiary. 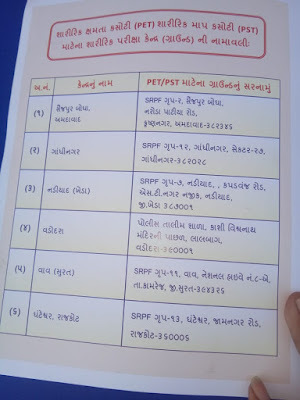 The Gujarat Lokrakshak Bharti Board is initiating recruitment for 9713 posts of Constable, Jail Sepoy, Matron and other posts in Gujarat Police Department. The board has announced the recruitment for these posts in August 2018.
in 2003 indian government also launched insurence for the below poverty line peoples Government has alloted fifteen billion indian rupees for rashtriya swasthya suraksha yojana in 2016-2017 budget Now let's have a look on a cost of health insurance By and large, a thirty year old wedded individual without any children would need to pay in the vicinity of five and eight thousand Indian rupees (USD 75 to 120) for a standard five hundred thousand Indian rupee ($ 7280) family floater strategy. get their treatment without money But sometimes people are not getting all the facilities which are government providing to civilians because of corruption Some currepted government officers eat the money of grant which government has provided for civilians for health insurence Overcall it is very helpful for all the people Everyone should buy health insurence for their safety. LRD PHYSICAL TEST (EXAM) GROUND ANGE LATEST CIRCULAR. In the first phase, the board will organize written test for these posts. The written exam date is not announced yet. The first stage written test is likely to be held in the month of November. As and when the exam date is finalized, the board will release an exam notice on its website. 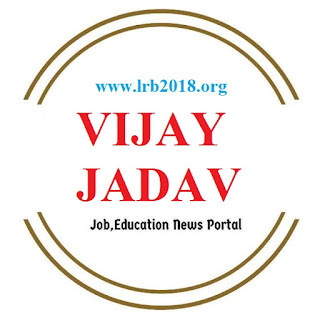 For further updates and information on the Gujarat LRB Bharti 2018, the enrolled candidates are advised to check the employment newspapers regularly. We will make an update on this page as and when the written exam date for these posts is released officially. Are you looking for Panchayatiy Raj Then here is the best place for you Here, you can Download All the Study Materials for Various Competitive Examination. All Job Examination Study Materials, practice set, model question set, notebook PDF Available on our site. 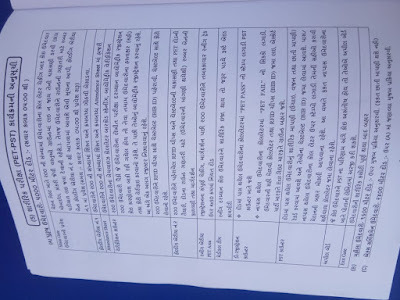 We Also Provide Information About Talati Junior Clerk Senior Clerk SSC GSSEB Etc Related Information And Its Related Material And Old Paper And Model Paper. Teacher Job And Paripatra We Also Provide. My Telegram & Whatsapp No 7434823152 Add Your Group For New Update And Material. GSEB OLD PAPERS,GSEB SSC EXAM OLD PAPERS,SSC EXAM PAPER 2013,SSC EXAM PAPER 2014,SSC EXAM PAPER 2015,SSC EXAM PAPER 2016 ,SSC EXAM PAPER 2017,SSC EXAM PAPER 2019,SSC MARCH 2013 PAPER,SSC MARCH 2014 PAPER,SSC MARCH 2015 PAPER,SSC MARCH 2016 PAPER,SSC MARCH 2017 PAPER,SSC MARCH 2018 PAPER. Welcome all dear members we glad to informed you that education update is the job provide information portal we daily upload education material , quiz , shotr trick for compitataive exam of Gujarat and India Education upadate is the most popular website viralrojgar of Gujarat because we understand and try to solve the problem of our daily visitors . General Studies Pdf : EXAM MATERIALS FOR ALL EXAM When you set up your annuity, you made an investment in your future. You worked with a broker or financial planner to build a policy that you thought would fit your needs. When you're scheduled to receive the payments you're looking at selling.